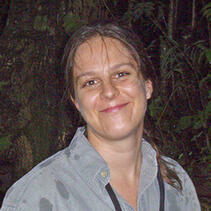 Dr. Bethan Morgan serves San Diego Zoo Global in a consultant capacity as Head of the Central Africa Program. 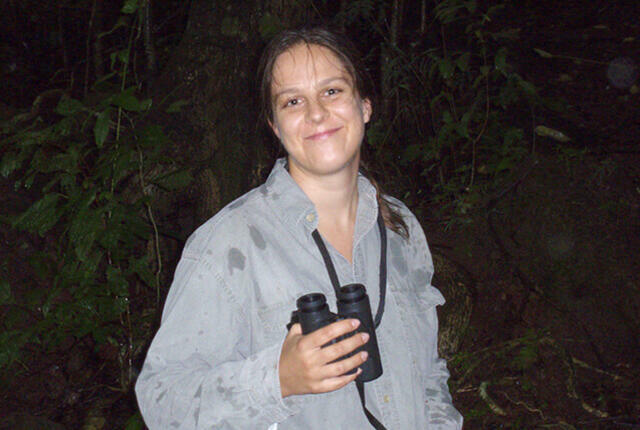 In this role, she oversees all activities in Central Africa, with a strong focus on the region between the Sanaga River in Cameroon and the Cross River in Nigeria – a biodiversity hotspot with a wealth of understudied and endemic species, including a small population of gorillas first discovered by Bethan and her team in the Ebo forest in 2002. Detailed research and conservation activities on a wide variety of flora and fauna are underway at two permanently-manned research stations in the Ebo forest, with a team of more than thirty dedicated Cameroon nationals working with local communities. Bethan has a particular interest in the Nigeria-Cameroon chimpanzee – the most endangered of the recognized types of chimpanzees - as well as a passion for the drill, one of the most spectacular and endangered primates in Africa. In addition to collaborating on a range of conservation activities, including a long-term study on the impact of climate change on protected area planning, Bethan is passionate about supporting capacity-building in our national staff to enable a sustainable, long-term future for our conservation achievements. Bethan earned her doctoral degree from the University of Cambridge studying forest elephants, gorillas, and chimpanzees in a remote rainforest in Gabon, Central Africa. She then joined the Biological Anthropology Department at Harvard University, where she was a visiting fellow, before coming to San Diego Zoo Global as a Conservation Research Postdoctoral Fellow. Bethan is Honorary Research Fellow at the Department of Psychology at the University of Stirling, Scotland, and a member of the IUCN Primate Specialist Group.